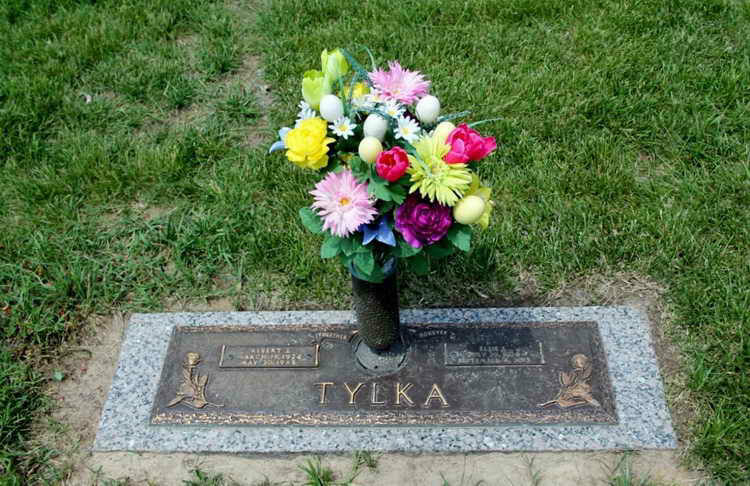 Grave marker for Albert J. Tylka in the Garden of Christus, Section P, Valhalla Gardens of Memory and Mausoleum, Belleville (St. Clair county), Illinois. Albert enlisted in the Army at Peoria, IL on 19 August 1943. Pfc Tylka was transferred to Service Company, 508th PIR from Hq 82nd AB Division, Leicester, England on 26 September 1944. He was subsequently transferred to Hq Hq. His military decorations include the Combat Infantryman Badge awarded for action during the campaign, 18 Dec 1944 to 20 Feb 1945.